In the 23 years of the Young Artists Scholarship program, the Sunriver Music Festival has awarded over $500,000 to local music students while also nurturing the music education programs at south Deschutes County schools. We're committed to artistic excellence in musical offerings and nurturing the next generation of artistic talent for Central Oregon residents and visitors. Your membership is vital to the Festival's future success. Click anywhere you see this big red circle to hop right to the tickets page! Our annual summer festival is renowned for its abundance and quality of featured soloists. In 2019, we're honored to bring back internationally renowned pianist Olga Kern! Click below to learn about our many impressive soloists for this summer. Each summer festival features four uniquely-programmed classical concerts. 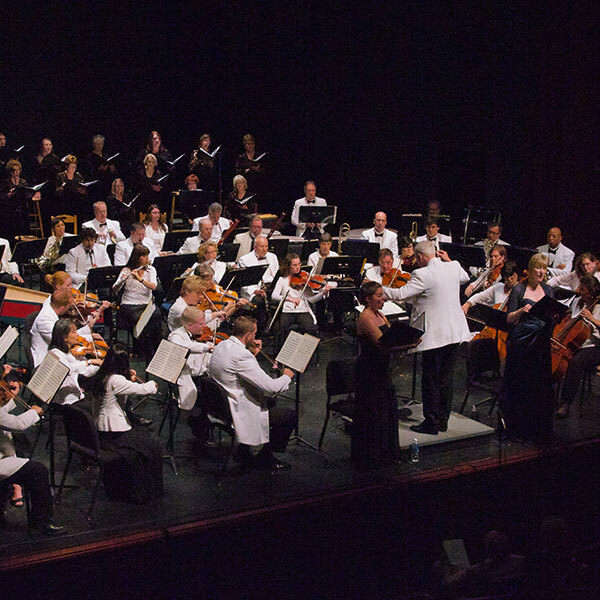 Click here for details on this beautiful 42nd Season, themed "Love Stories - Around the World with Music"
This season's Pops Concert is a Latin Spectacular! Baritone Octavio Moreno will be featured in many lively songs of Mexico.